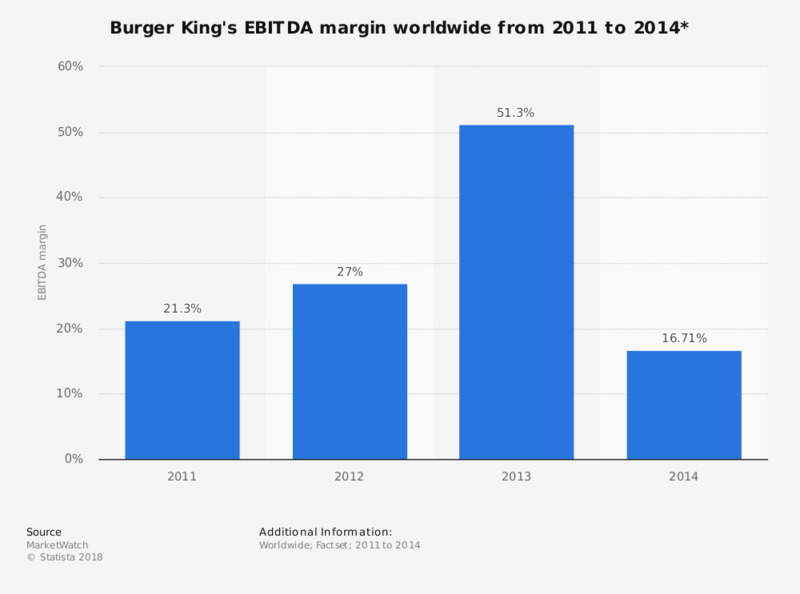 This statistic shows Burger King's EBITDA margin worldwide from 2011 to 2014. Between 2012 and 2013 fast food chain Burger King's earnings before interest, taxes, depreciation and amortization increased by 51.3 percent. * EBITDA is an abbreviation of earnings before interest, taxes, depreciation and amortization. Source does not provide a date of publication, the date given is the date accessed.